Hemp is one of the most sustainable crops in the world. It requires minimal inputs and hemp that is grown organically does not use damaging synthetic pesticides or fertilizers. 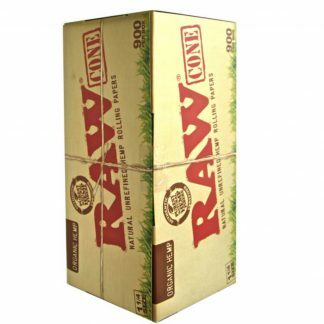 These RAW cones are made with organic hemp and are produced using 100% wind power. 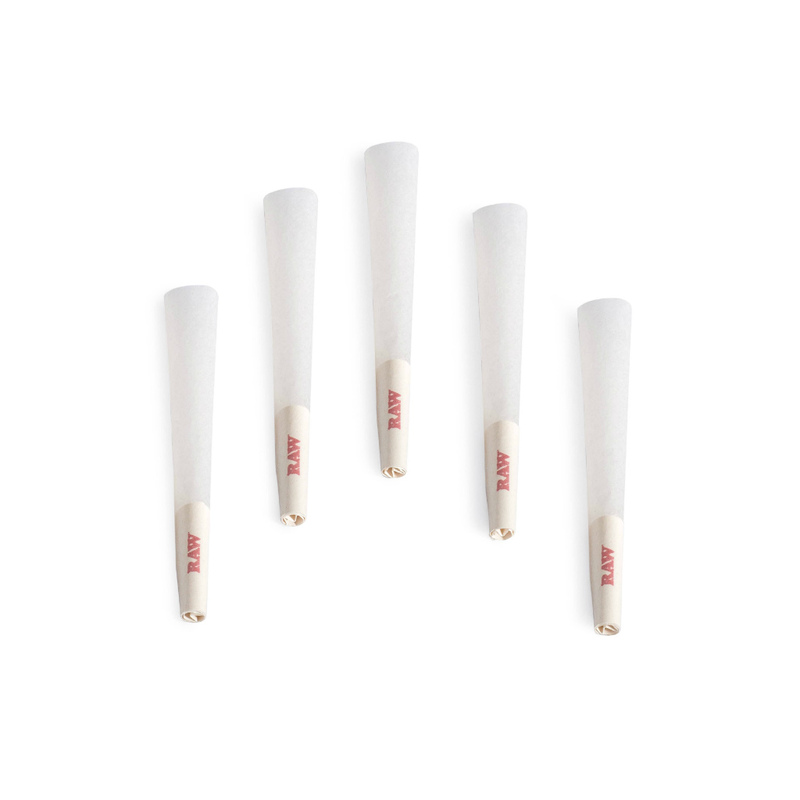 All RAW cones are watermarked with the RAW’s patented CrissCross watermark which helps prevent runs and helps maintain the smooth even burning characteristics RAW is famous for. These 1 ¼ size RAW cones have a length of 83 mm which includes a 26mm long paper tip, which leaves 57mm of length for dried plant material. This box contains 21 RAW cones (1 & 1/4 size). The 1 ¼ sizing classification is very confusing and is not standardized in any way. If you are interested in learning more about the 1 ¼ classification check out this helpful article.